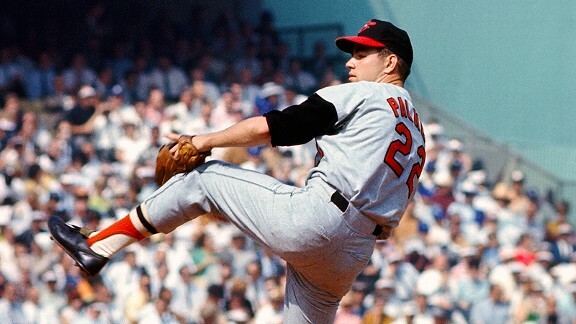 An eight-time 20-game winner, Palmer won 268 games over 19 seasons with the Orioles, posting a .638 winning percentage. He claimed three AL Cy Young Awards (and was the runner-up twice) and four Gold Gloves. In 3,948 innings over 558 appearances, Palmer surrendered 303 home runs but amazingly never gave up a grand slam.